Black Satellites midfielder Mohammed Kudus has expressed his disappointment following the 2-0 loss to Senegal last Wednesday. The Nordsjaelland star took to his social media page to apologize for their poor showing and promised the team will make amends on Saturday against Mali to secure qualification. 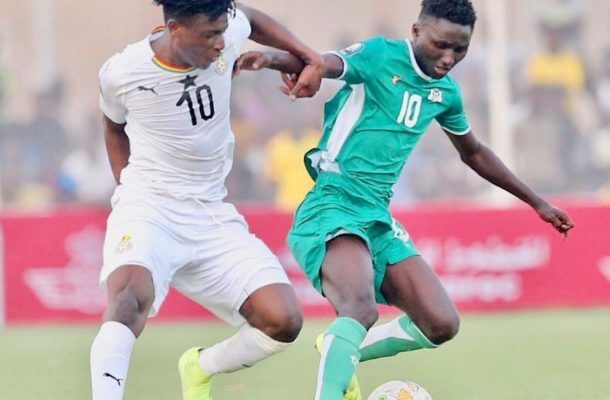 “We are very gutted for letting Ghana down with a poor performance and results vs Senegal” the midfielder said on Friday via his Faceboom page. “Come Saturday 09-02-09 is a test of character, we’ll represent our DNA & the Will of the Sparkling Black Star to bleed Red, Gold (Yellow) & Green for our beloved Motherland. Ghana play Mali on Saturday in a game that will determine who joins Senegal to qualify from Group B.